Glenn Miller was born on March 1, 1904 in Clarinda, Iowa. His family was poor, moving steadily westward during his childhood, first to Nebraska, and then to Fort Morgan, Colorado. Music gave him an escape. Glenn studied music during high school and, soon after graduation in 1921, he took his first professional job with Boyd Senter’s orchestra, which was popular in the Denver area. He then enrolled at the University of Colorado, where he spent his time outside of class playing in fellow student Holly Moyer’s band. He left college in 1923 to devote full attention to his career as a musician and arranger. Miller went to Los Angeles, where Ben Pollack asked him to join his band. With Pollack, Miller went to Chicago, and eventually to New York in early 1928, where he married his college sweetheart, Helen Burger. After leaving Pollack, Miller joined the Smith Ballew orchestra, and then the newly-formed Dorsey Brothers. He finally decided to launch his own band in January of 1937. At the end of the year, he disbanded it, discouraged and in debt. With financial help, he tried again in the spring of 1938. This time he had the players he wanted to create a unique style, and after much experimentation, he developed a clarinet-led reed section and created what came to be known as the Miller sound. In 1938, Miller signed with Victor’s Bluebird label. He played at Glen Island Casino while the nation listened beside radios, carrying the music to every corner of the country. Miller recorded his signature tune, “Moonlight Serenade,” and “Little Brown Jug” in April 1939. The following month the band made “In the Mood,” receiving play both in juke boxes and on radios nationwide. By the fall of 1939, the Glenn Miller Orchestra was the nation’s hottest attraction—working some 100 hours a week, recording an average of two songs a week and doing a thrice-weekly radio show for Chesterfield cigarettes. The band was magic on records, and live appearances persistently broke house records throughout the eastern states. From engagements at the Café Rouge of the Hotel Pennsylvania came the hit “Pennsylvania 6-5000,” which immortalized the hotel’s telephone number. “Tuxedo Junction” and “A String of Pearls” reached No. 1 on the top-sellers chart, and Miller was awarded the first-ever gold record in 1942 for selling more than one million copies of “Chattanooga Choo Choo.” Though not a hit, his song, “Boulder Buff,” reflected his CU roots. With the onset of World War II, Miller, at 37, was determined to take part in the war effort. Entering the army in October 1942, he molded the nation’s most popular service band. That U.S. Air Force Band went to England in the summer of 1944, entertaining troops at 71 live concerts in five months. 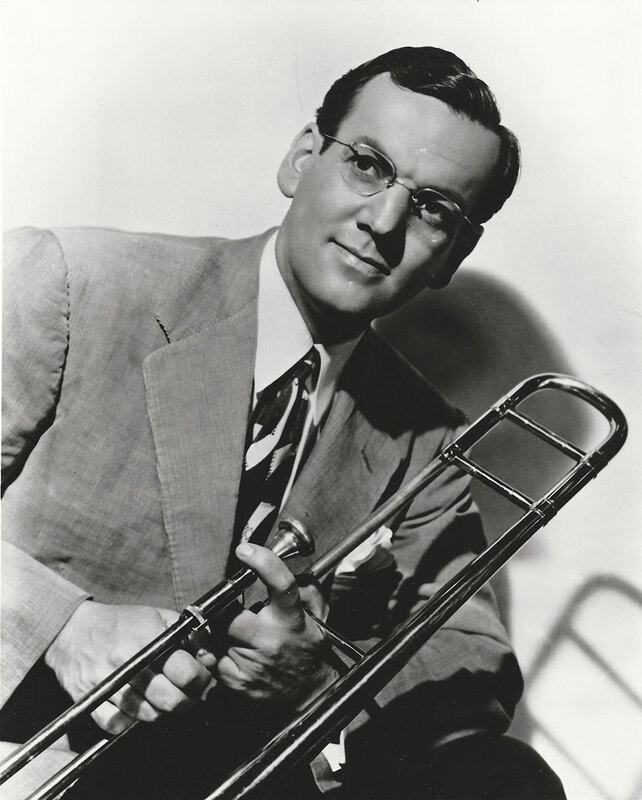 On the foggy afternoon of December 15, while flying from the south of England to newly liberated Paris to lead his band in a concert to be broadcast on Christmas day, the small plane carrying Major Glenn Miller and others disappeared over the English Channel, ending a brilliant and influential careers in American popular music. In 1954, Universal-International released The Glenn Miller Story, a major motion picture starring James Stewart and June Allyson. At the urging of Miller’s widow, some scenes were shot at CU.